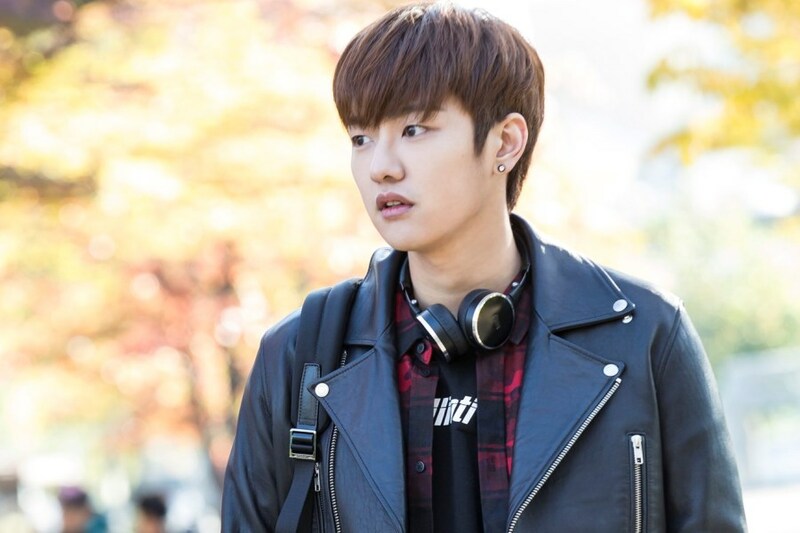 Born in Seoul on 23 October, Shin is one of Cross Gene’s members from South Korea. Having debuted as a multinational group under Amuse Korea, the group consists of South Korean, Chinese, and Japanese members. Before debuting as a Cross Gene member, Shin – his stage name – was gaining public recognition through his incredible acting in popular drama ‘Big’ in 2012. His latest appearance was in another hit drama, ‘Legend of the blue sea’, where Shin got a chance to act alongside Lee Min-ho and Jun Ji-hyun as a shy and quite computer gamer who is actually a genius hacker. His role in his second drama, ‘Big’, earned him much praise, and caught netizen’s attention when he payed ‘Kang Kyoung-Jeon’ whose body switches with ‘Seo Yoon-jae’, played by Gong Yoo. Besides actors Gong Yoo and Shin Won Ho, the drama also starred popular actresses such as Lee Min Jung and Miss A’s Suzy. Within 16 episodes, Big offered a unique plot line including romantic comedy, drama, fantasy, and body swapping. Big also earned 11 nominations, including MelOn Music Awards, Mnet Asia Music Awards, Korea Awards and Seoul International Drama Awards. 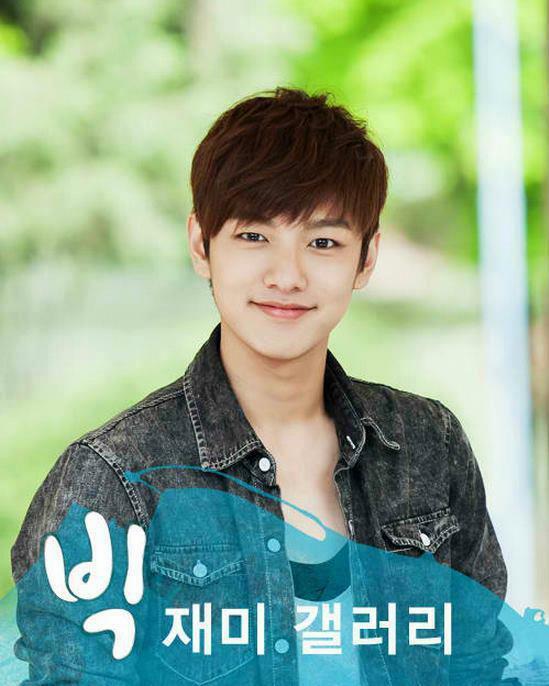 During his role as Kang Kyoung Jeon, he was named ‘the three-second Song Joong Ki’ because his portrayal in Big reminded netizens of the baby faced actor, Song Joong Ki. Soompi noted several comments from netizens, such as; “He looks cute and fresh,” “He reminds me of Song Joong Ki,” “Can’t wait to see what he has to offer,” “He’s the guy from ‘Bachelor’s Vegetable Store!’ He’s so cute!” and more. In the drama Big, Shin had to act with his co-stars Suzy and Lee Min-jung. Playing with sunbae actors and actresses, he managed his attitude well, and was humble. It is obvious in how he interacted with the sunbae-nims. Even though Suzy is younger than him, Shin kept his respect as hoobae to his sunbae by greeting her formally. There was also one scene between Suzy and Shin where Suzy had to slap him when he laid on a bed, but somehow this scene made two of closer. He revealed, “There was a scene in ‘Big’ where Suzy sunbae had to slap me but she kept hitting me lightly because she felt bad. After 6 times of slapping me, I finally said to her in informal speech, ‘just hit me hard once’. After that, we got really close,” he said. On the other side, while making an appearance on the August 4th broadcast of KBS2‘s ‘Entertainment Weekly‘, Suzy also revealed her thoughts on her drama ‘Big‘ which was airing its final episode back then. In response to the ‘slap’ scene, Suzy said, “The producer said, ‘if you slap him like this, he will have to keep getting hit’ so I thought to myself ‘I am doing this for the good of oppa’ and slapped him hard“. Eventually, the slap scene was approved by the producer after her sixth trial, and Suzy became closer to Shin after the scene. Suzy felt a little relieved after Shin spoke to her informally. She could manage her act to slap him as a part of her acting, without hard feelings. Even though she looked very apologetic right after did that. Since then, they have become close friends and have no barriers anymore. In another scene, Jang Ma-ri and Kang Kyung-jun have a date where they walking around street and eating ice cream. In the cut video uploaded by KBS 2, it showed Ma Ri showing cute affection for Kyung-jun by doing things like putting her date in a headlock. During filming, Ma Ri drops her share of soft-serve ice cream that the two got, almost driving her to tears, adding to the affectionate yet innocent feel of the video clip. As the story become complicated, Mari appeared as the only one who knows that Kyung Jun has swapped his soul into another man’s body, increasing viewer’s curiosity about how the characters’ relationship will develop later on. Shin and Suzy succeed playing and building their characters, as a source from drama’s production complimenting their acting. He said, “Suzy is mastering her role as the lifeblood of the drama, and Shin Won Ho is also performing beyond expectations as a rookie actor“. Until the end of the drama, Ma Ri still hoped that Kyung Jun will eventually reciprocate her feelings towards him. But it appeared that Kyung Jun had already caught the attention of Da Ran (played by Lee Min-jung). There was also a funny scene where Ma Ri wanted to kiss Kyung Jun, but was pulled back by Yoon Jae with Kyung Jun’s soul. Kyung Jun himself remains being coma. Unfortunately, the drama later received criticism for its ending. Netizens were not satisfied with the ending , even though the drama still received favorable reviews from many people. Have you watched this drama? Who is your favorite character? Ji Chang-wook and Nam Ji-hyun’s Relationship Behind Their Hot Kissing Scene!